Grid modernization is a broad term, lacking a universally accepted definition. 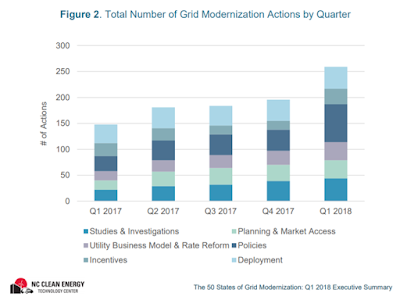 In this report, the authors use the term grid modernization broadly to refer to actions making the electricity system more resilient, responsive, and interactive. 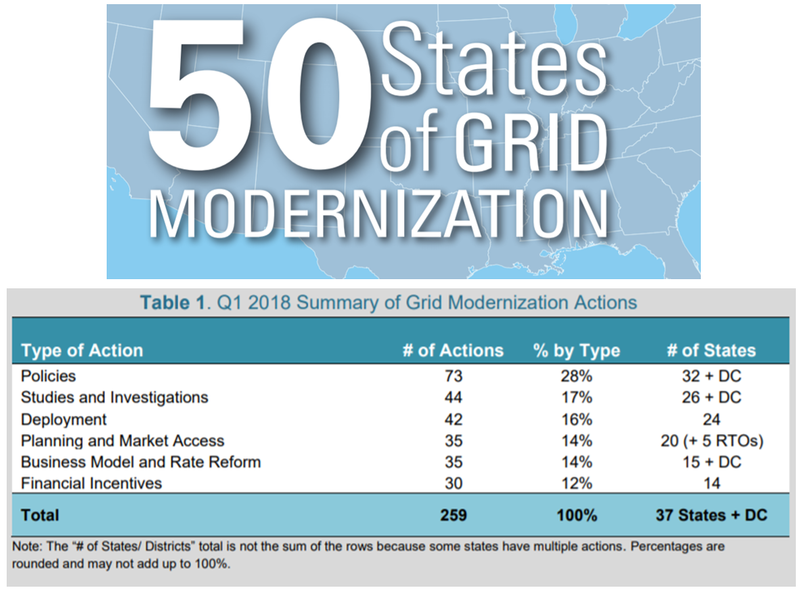 Specifically, in this report grid modernization includes legislative and regulatory actions addressing: (1) smart grid and advanced metering infrastructure, (2) utility business model reform, (3) regulatory reform, (4) utility rate reform, (5) energy storage, (6) microgrids, and (7) demand response. 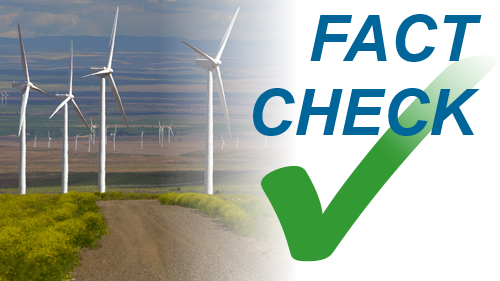 The purpose of this report is to provide state lawmakers and regulators, electric utilities, the advanced energy industry, and other energy stakeholders with timely, accurate, and unbiased updates about how states are choosing to study, adopt, implement, amend, or discontinue policies associated with grid modernization. 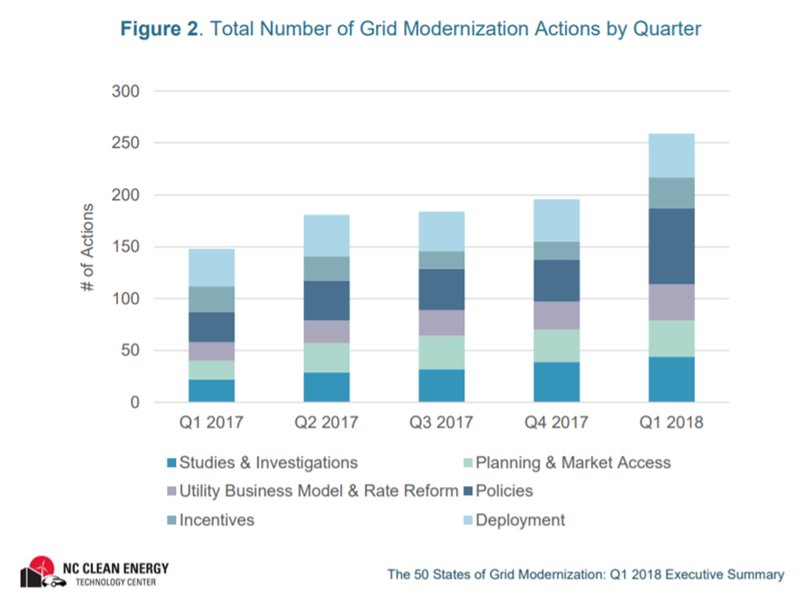 This report catalogues proposed and enacted legislative, regulatory, and rate design changes affecting grid modernization during the most recent quarter. 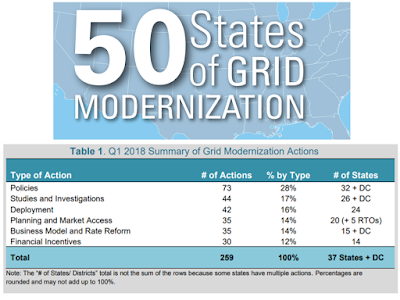 The 50 States of Grid Modernization report series provides regular quarterly updates and annual summaries of grid modernization policy developments, keeping stakeholders informed and up to date. This report focuses on cataloguing and describing important proposed and adopted policy changes related to grid modernization and distributed energy resources, excluding policies specifically intended to support only solar technologies. While some areas of overlap exist, actions related to distributed solar policy and rate design are tracked separately in the 50 States of Solar report series, and are generally not included in this report. Legislative or regulatory-led efforts to study energy storage, grid modernization, utility business model reform, or alternative rate designs, e.g., through a regulatory docket or a cost-benefit analysis. Changes to utility planning processes, including integrated resource planning, distribution system planning, and evaluation of non-wires alternatives, as well as changes to state and wholesale market regulations enabling market access. Proposed or adopted changes to utility regulation and rate design, including performancebased ratemaking, decoupling, time-varying rates, and residential demand charges. Time-varying rate and residential demand charge proposals are only documented if they are being implemented statewide, the default option for all residential customers of an investorowned utility, or a notable pilot program. Actions related to inclining or declining block rates are not included in this report. 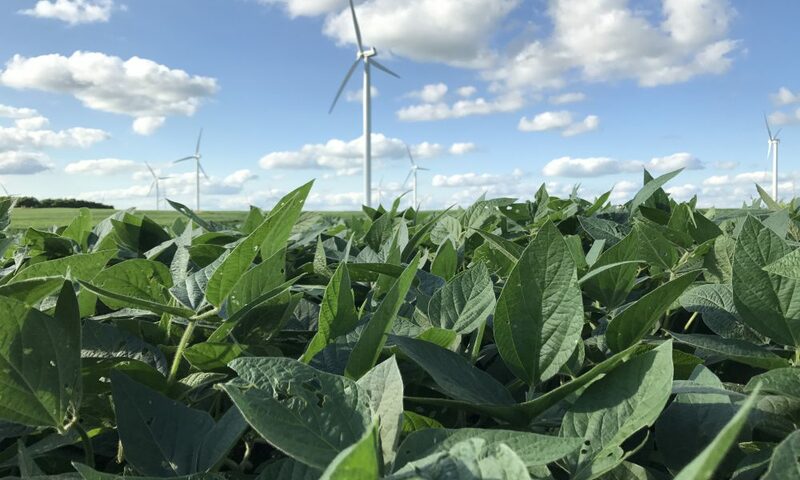 New state policy proposals or changes to existing policies related to grid modernization, including energy storage targets, energy storage compensation rules, interconnection standards, and customer data access policies. 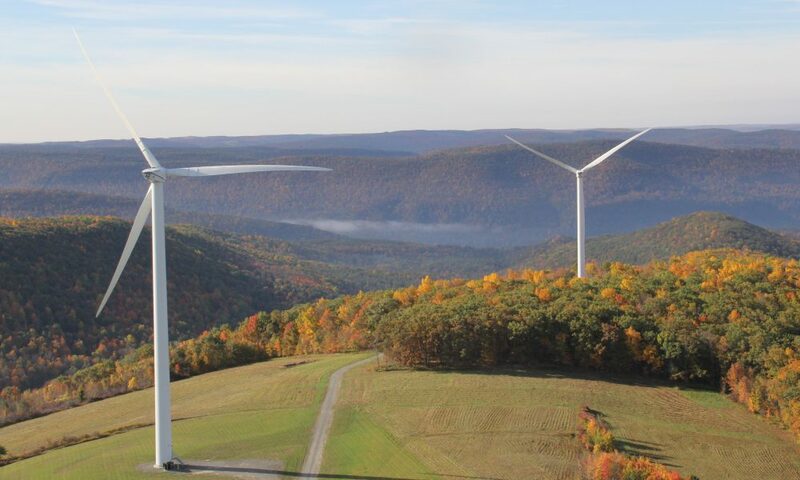 New statewide incentives or changes to existing incentives for energy storage, microgrids, and other advanced grid technologies. 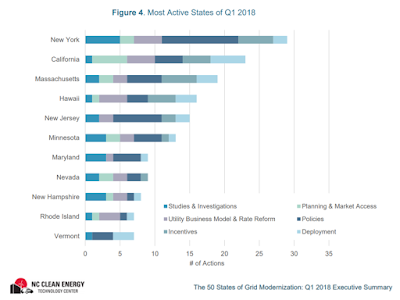 In the first quarter of 2018, 37 states plus DC took a total of 259 policy and deployment actions related to grid modernization, utility business model and rate reform, energy storage, microgrids, and demand response. Table 1 provides a summary of state and utility actions on these topics. Of the 258 actions catalogued, the most common were related to policies (73), studies and investigations (44), and deployment (42). Five of the quarter’s top policy developments are highlighted below. In January 2018, Commissioner Tobin filed a proposed Energy Modernization Plan, including an energy storage target of 3,000 MW by 2030, as well as a clean peak target. The proposal is currently under consideration as part of the Arizona Corporation Commission’s proceeding examining the modernization of the state’s Renewable Energy Standard. During Q1 2018, the Hawaii State House moved forward legislation initiating a transition to performance-based ratemaking in order to align utility regulatory policies with customers’ interests and the state’s public policy goals. The bill later passed the Senate and was signed into law in April 2018. The Public Utilities Commission is to establish performance incentives and penalty mechanisms for the state’s investor-owned utilities by January 1, 2020. 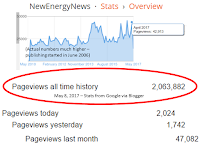 In January 2018, Texas regulators denied AEP Texas North Company’s proposal to deploy two battery storage systems as non-wires alternatives. At issue is whether energy storage is categorized as generation or not because the state’s deregulated utilities may not own generation assets. The Commission subsequently opened a rulemaking docket to establish a framework for energy storage. 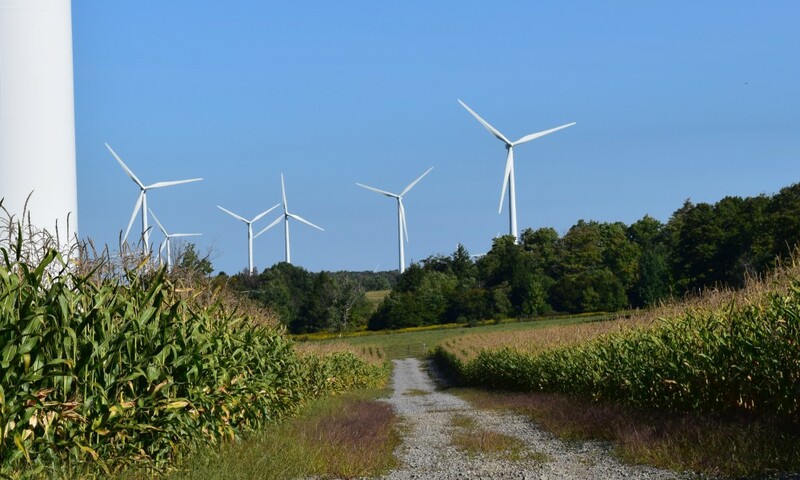 Ohio’s PowerFoward grid modernization proceeding concluded in March 2018 with its third and final segment, examining ratemaking and regulation. 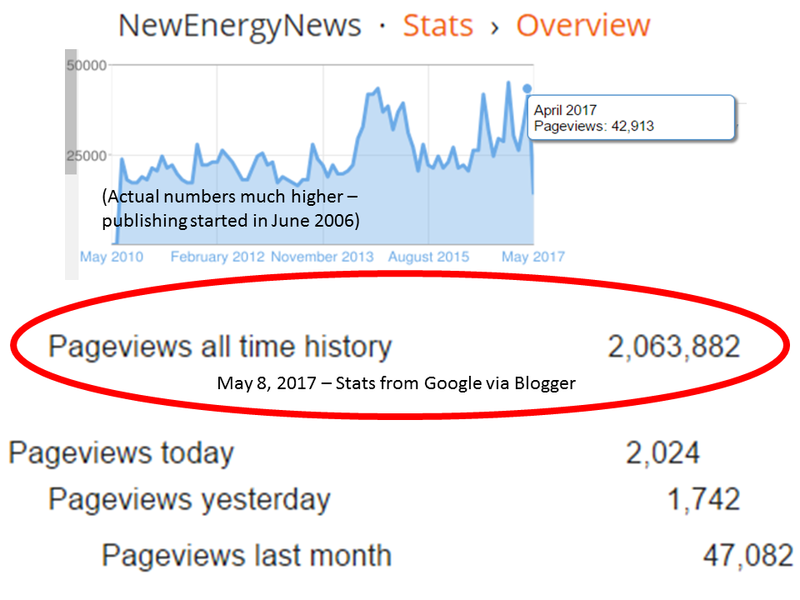 The exploratory proceeding, which was first announced in March 2017, was focused on learning from industry experts and engaging stakeholders. No official policy recommendations came out of the proceeding, but it will inform future grid modernization activities in the state. 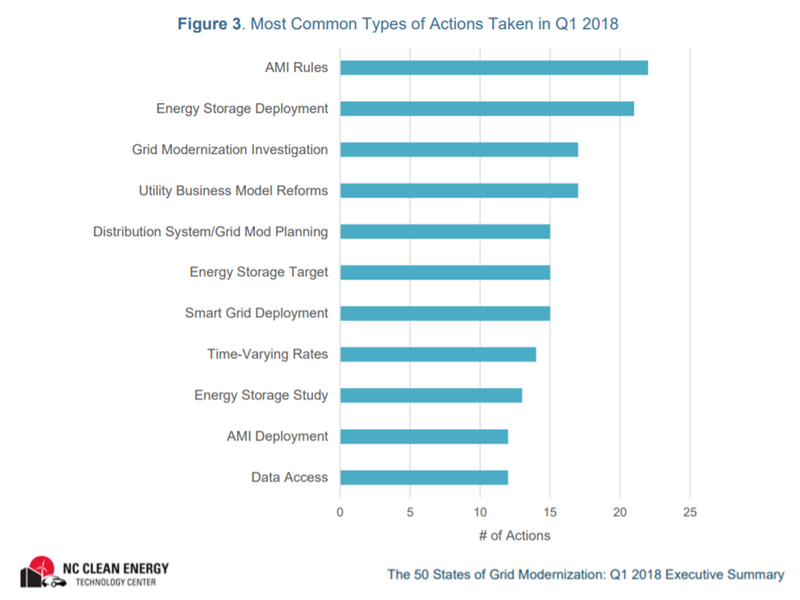 The most common types of actions across the country related to advanced metering infrastructure rules (22), followed by energy storage deployment (21), grid modernization investigations (17), and utility business model reforms (17). While deployment actions were the most common type of action taken through all of 2017, the most common types of actions taken in Q1 2018 related to policies and studies and investigations. 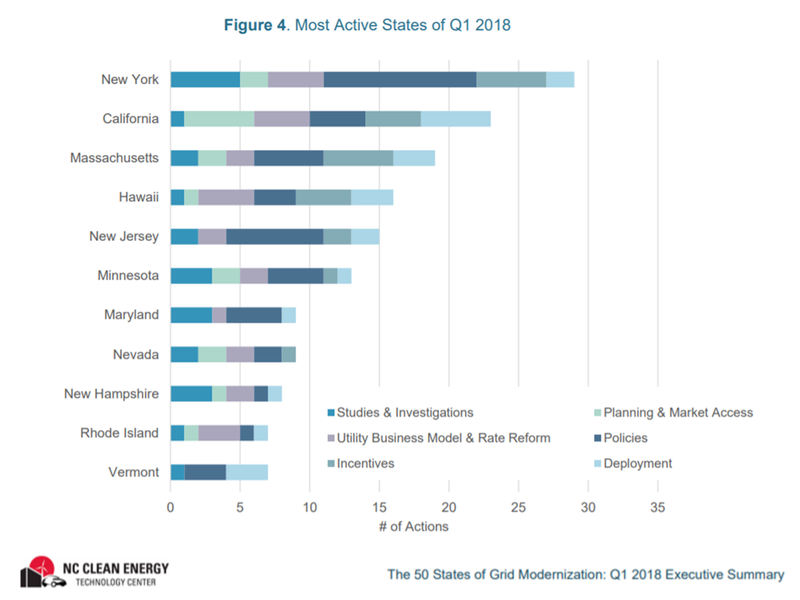 The states taking the greatest number of actions related to grid modernization in Q1 2018 can be seen in Figure 4. New York, California, and Massachusetts continued to see the most action during the quarter, followed by Hawaii, New Jersey, and Minnesota. 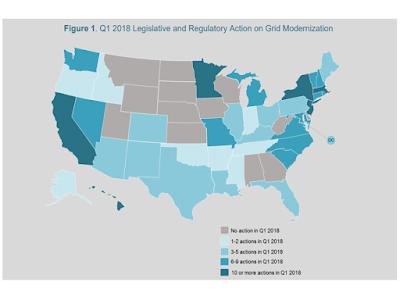 The total number of grid modernization actions being taken by states is quickly increasing, with 75% more actions being taken in Q1 2018 over Q1 2017. Grid resilience is becoming a growing priority among states, particularly after last year’s devastating hurricane season. Three states – California, Florida, and Hawaii – considered legislation in Q1 2018 requiring states or utilities to undertake grid resilience planning. Florida and Hawaii also considered legislation creating incentive programs to boost grid resilience. As more states, utilities, and energy industry stakeholders address the topic of grid modernization, it has become evident that a common definition of grid modernization does not exist within the industry. Several states are working to define grid modernization as part of their investigatory proceedings. The California Public Utilities Commission issued a decision in March 2018 establishing a definition for grid modernization and a classification framework to standardize the terms used for different grid modernization investments. 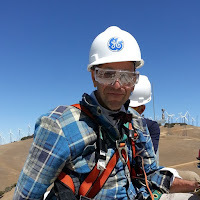 Access to data – both distribution system data and customer usage data – has emerged as a key aspect of grid modernization. A growing number of states are undertaking distribution system planning efforts and hosting capacity analyses to increase the availability of system data, while many states are also considering customer data access rules, including rules for third party access to customer data. In Q1 2018, the most common type of action related to advanced metering infrastructure (AMI) rules, such as opt-out provisions and fees. 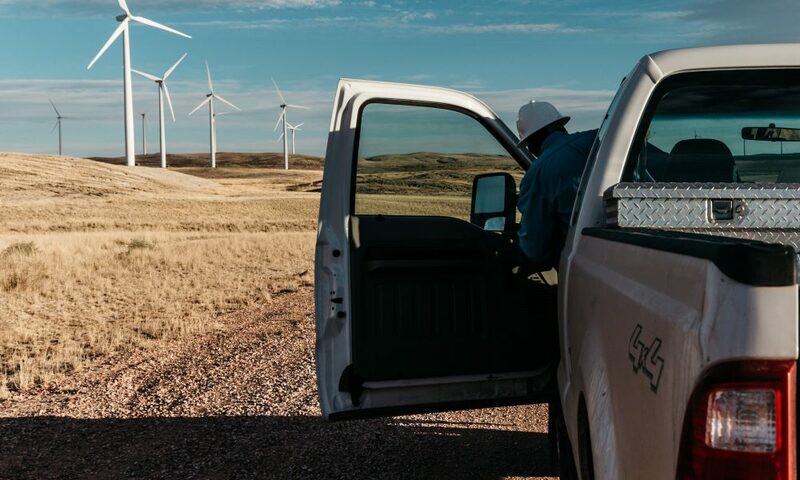 Proposed rules have taken very different approaches, ranging from requiring utilities to deploy AMI to imposing a moratorium on AMI deployment. Legislators in multiple states have proposed studies examining the public health impacts of AMI, while regulators continue to consider deployment proposals from utilities, with the majority of these proposals being approved. 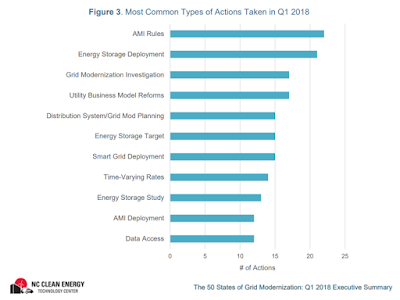 Of the 37 states taking grid modernization actions during Q1 2018, 32 states took actions related to energy storage. A wide range of actions were taken, including conducting studies, proposing incentive programs, and revising planning processes. The majority of grid modernization legislation considered in Q1 2018 related to energy storage, with energy storage incentives, procurement targets, and studies being key topics of interest to state legislators.